Kayla Colona had an awesome first-grade teacher. So exceptional, in fact, that growing up in south St. Louis County, Colona couldn’t think of a better way to spend her life than replicating that experience for schoolchildren to come. She went to the University of Missouri–St. Louis with the clear aim of becoming an elementary school teacher. She discovered something she likes even better at an agency fair at UMSL. 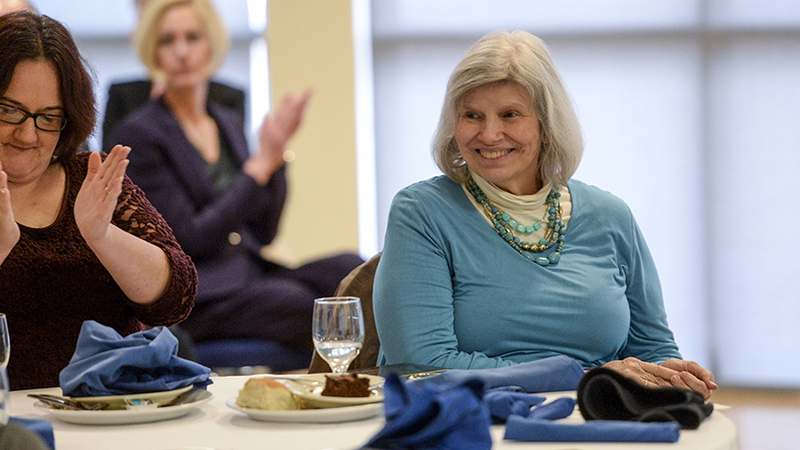 The College of Education brings partner agencies to campus each semester so students can learn about the work being done to make a difference for underserved students. That’s where she first heard about Mission: St. Louis and its Beyond School program. 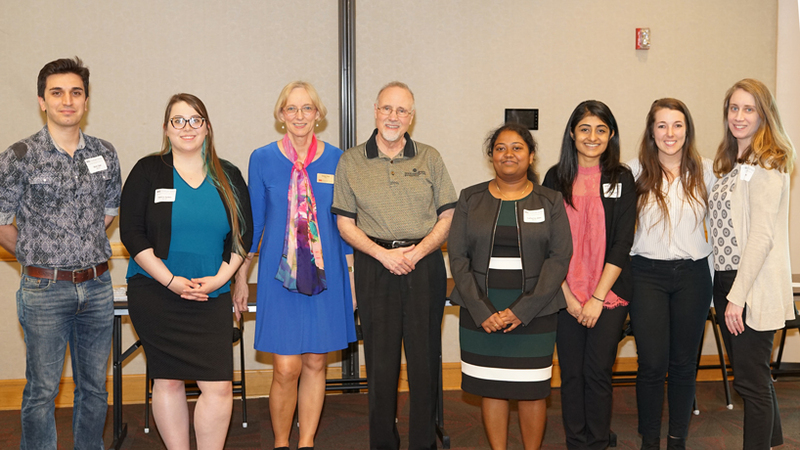 Colona volunteered as a class requirement, which is part of the program design for all teacher preparation students at UMSL, to give them a chance to get working experience and find the career that will be right for them. She stayed on after she had fulfilled her assignment. 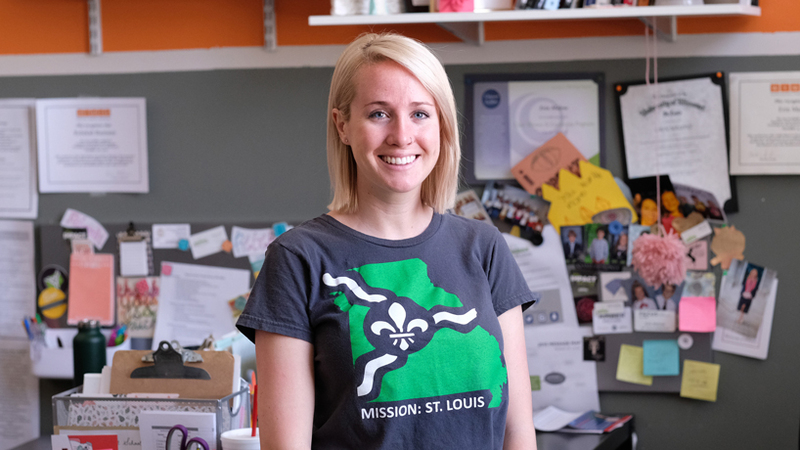 After she graduated from UMSL with a Bachelor of Educational Studies in 2015, she came back to Mission: St. Louis on a part-time basis while doing a year of service with AmeriCorps. Last year, she was hired as Beyond School’s full-time volunteer coordinator. Mission: St. Louis takes a three-pronged approach to helping transform “lives, families and neighborhoods” of traditionally underserved people in the city. The Beyond School program provides an expanded learning opportunity for students to help raise their math and reading levels, as well as social/emotional learning and community service activities. Beyond School worked with 136 students during the 2017-18 school year: 77 from the St. Louis Language Immersion School‘s Spanish campus on Papin Street and 59 from St. Louis College Prep. It’s the sort of intensive 1-on-1 tutelage that schools just aren’t able to provide during instruction hours. Colona’s “volunteer coordinator” title encompasses a variety of duties. 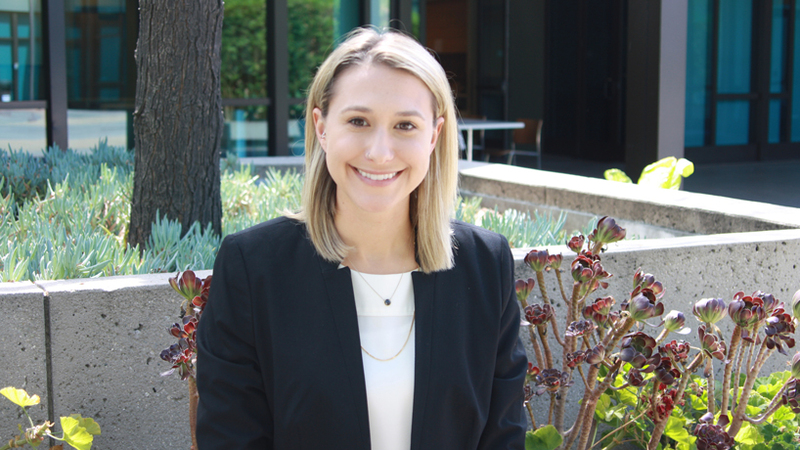 Beyond School relies on volunteer academic mentors, so Colona is in charge of recruiting and communicating with them. She also leads two liaisons, who coordinate the volunteers at each site, and an enrichment specialist, who is in charge of coming up with 12 experiential learning classes and community service activities each semester for the students. Colona served as the enrichment specialist at College Prep this year. Next year, she’ll run her team from Beyond School’s new, third site at the SLLIS French and Chinese School on Marine Avenue. And, of course, duties as otherwise assigned. Malone has seen Colona’s passion for her work since she started as a 1-on-1 student mentor during her time at UMSL. Colona exulted in her pupil’s successes and was understanding and empathetic during the boy’s bad days. The connection between teacher and student was anything but superficial. Colona didn’t even know about the BES program at UMSL until a trip to her advisor’s office, right around the time she was figuring out that elementary education wasn’t exactly right for her. It was also around this time that Mission: St. Louis came into her life and gave her a glimpse into a nonprofit educational enterprise. She’s still fulfilling a desire she has held for nearly as long as she can remember. It’s just taken a slightly different form.